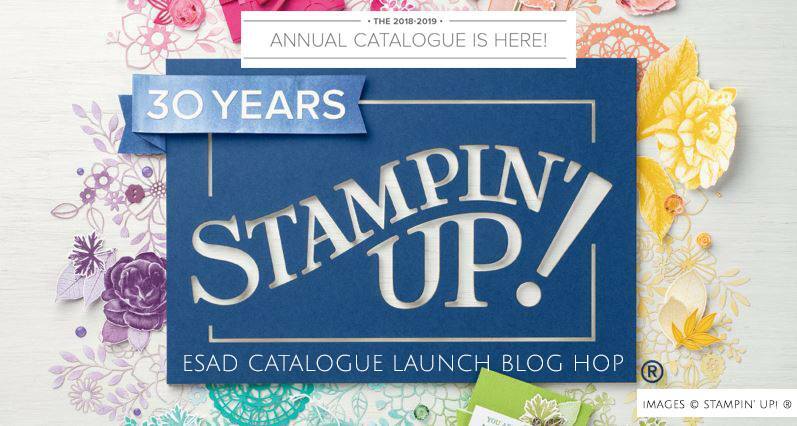 Welcome to the ESAD 2018 Annual Catalogue Launch Blog Hop! 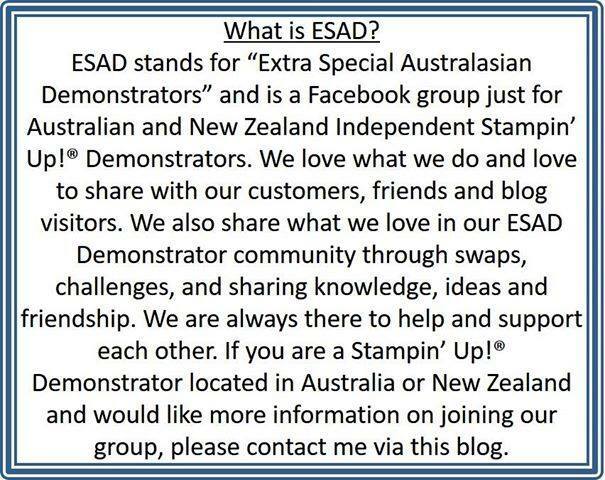 What is ESAD you ask? I was asked to join in with an online blog hop to showcase all the exciting new products that have just been released in the 2018-2019 Annual Catalogue. The hardest bit for me was choosing which new product to showcase! I decided on Nature's Poem Suite. I love the bold colours and the miriard of images and words. But I also love that it can be subtle and pastel too. Colours for every season! I was drawn to this the sentiment - be strong, be happy, be you and wanted to showcase that. And I knew I wanted bold colours so I used the Nature's Poem designer series paper to guide me to blackberry bliss and grapefruit grove. I think they look really striking together. 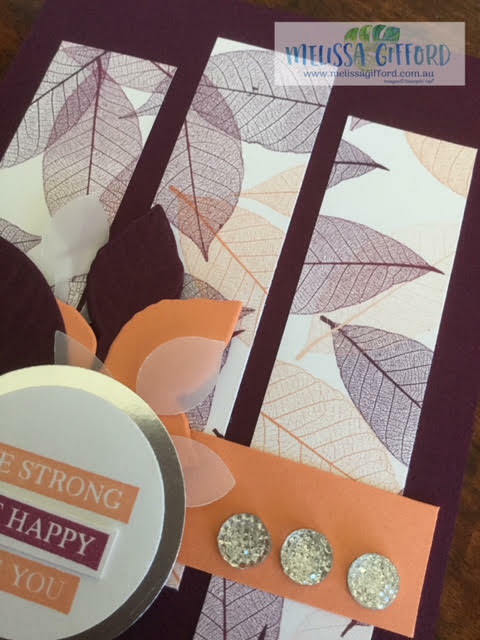 The panels are the Nature's Poem designer series paper cut into even stips and layered onto the card base. 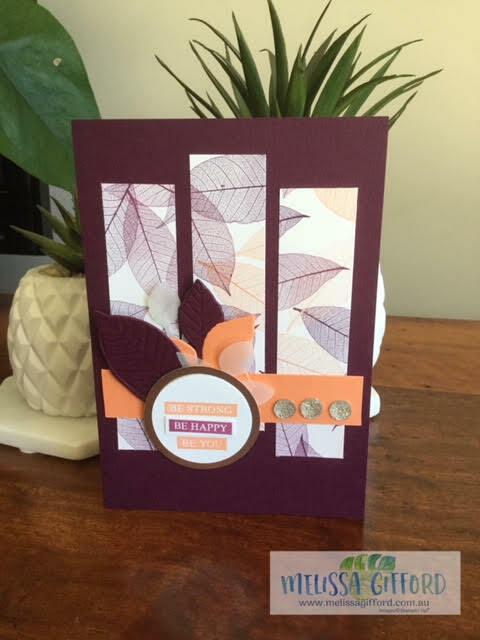 I then added a strip of the grapefruit grove cardstock. The leaves are embossed and cut using the coordinating Nature's Roots framelits. I used the leaf punch for the vellum leaf to add a bit of interest. 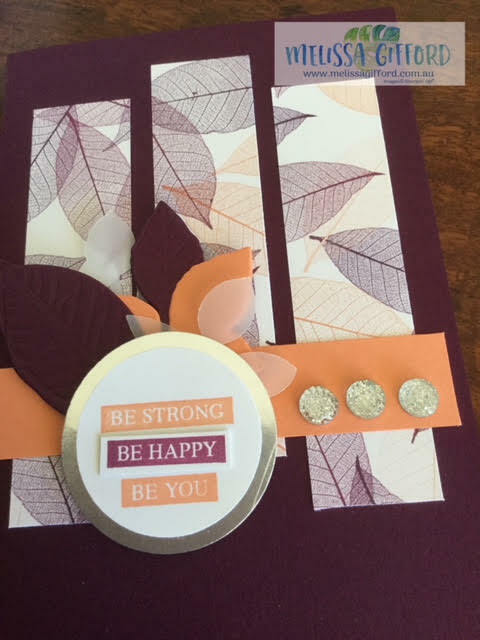 The sentiment was stamped twice in blackberry bliss and grapefruit grove and I cut out the 'be happy' and glued it on top of the other image, You could also do this with your marker pens to create the same effect. A touch of silver glimmer paper and some clear faceted gems and my card was complete. Here is a close up of the layers of leaves. Adding two colours to the sentiment adds a bit of interest and ties the colours together. I hope you are enjoying the blog hop and that you click through to see the rest of the amazing creations. Next up is Cathy Pinchbeck - click on the NEXT button head over to her blog. 23. Melissa Gifford - you are here!